Delta Force Paintball Cobham: Celebrity dads treat their kids! Delta Force Paintball Cobham has two awesome centres, set just metres apart in leafy Effingham. 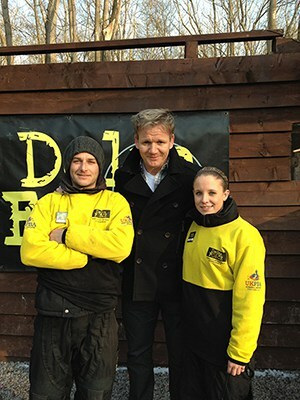 Our South West London Paintball Centre has received visits from the likes of Eastenders’ star, Emma Bissix and celebrity chef, Gordon Ramsey! 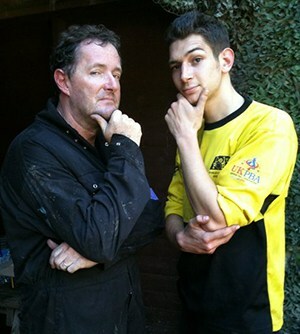 Our Surrey Paintball Centre isn’t to be outdone, with singer and actor, Robson Greenwood and TV talent judge Piers Morgan paying a visit too! Eastenders’ and Hollyoaks actress, Gemma Bissix (also known on both shows as Clare), recently took a trip to our South West London Paintball centre in Effingham to take part in an action-packed day of paintball! Gemma was so good, she even managed to raise the flag on the two-storey fortress to win the game for her team! The centre also received a visit from potty-mouthed celebrity chef, Gordon Ramsay. The Hell’s Kitchen star celebrated his son’s 13th birthday in style, darting about in the woods and shooting paintballs at each other! Gordon also spent a lot of time with fans, chatting to them and signing autographs between games, he even posed for a photo with centre manager Russell and assistant manager Laura. What a nice chap! Not to be outdone, our Surrey Paintball centre (only metres up the road from Delta Force Paintball South West London) has had the likes of actor-come-singer Robson Green and TV talent show judge, Piers Morgan visit! 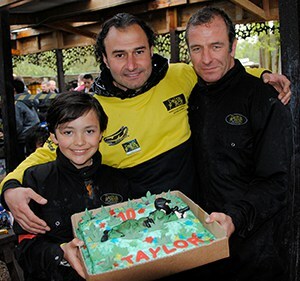 Robson Green treated his son, Taylor, to a game of paintball for his 10th birthday party! Father and son had a fantastic time at Delta Force Paintball Surrey, exploring all the exciting game zones on offer. They even celebrated with a slice of their very own paintball-themed birthday cake! Yum! “I couldn’t think of a better way to celebrate my son’s birthday, or a better way to ready myself for my interview with Beyonce on Tuesday!“ – Piers Morgan. For more information on our birthday paintball parties or to book a day at Delta Force Paintball Cobham call 0844 477 5050 and speak to one of our friendly advisors who will be happy to help.